Curds and Wine opened November 11, 2010. Thanks to all of our customers for supporting us over the years - and helping us win U-Vint of the Year at the Winemaker Magazine conference this year! 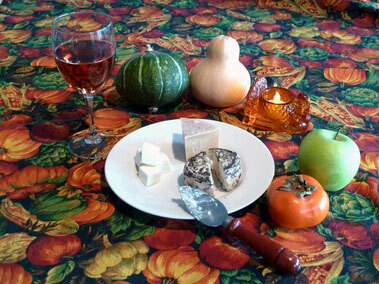 Curds and Wine will be CLOSED Monday November 19th through Friday November 23rd for Thanksgiving. Have a great holiday! 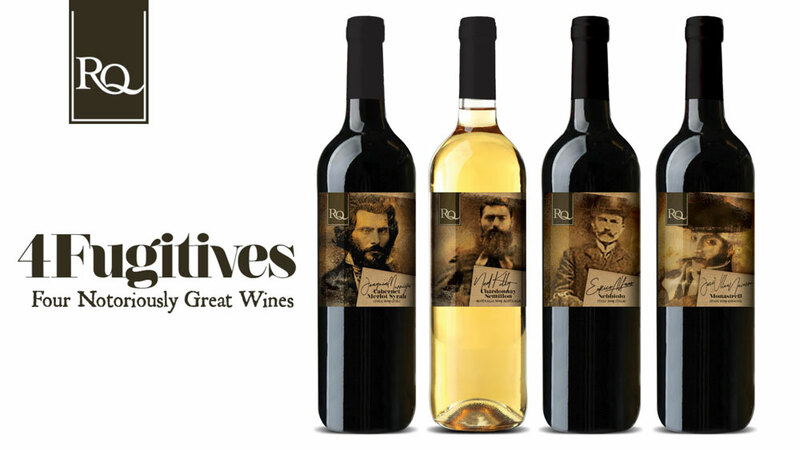 RJ Spagnols presents the Four Fugitives Restricted Quantity Wine Kits for 2019 release. Intense, masterful, defiant or smooth—whatever the preference, there’s a tale in every wine. A wine for every tale, and a fugitive for every cellar... four notoriously great ones. Revel in layer upon layer of surprise in this Chilean Cabernet Merlot Syrah. Enticing hints of smoke and luscious qualities are intricately woven into this wine’s darkly exotic character. ​Contact us to check availability of these wines - limited quantities were ordered, if you did not preorder already they could sell out! Continuing the rich and celebrated tradition of excellence and ingenuity, the Winexpert's Limited Editions for 2019 release collection is a showcase of much-loved varietals and unique standout blends. From bold and sumptuous reds to light, bright, and subtly sweet whites, the Limited Edition collection offers something for every wine lover. Black Cab is an intriguing blend of Cabernet Sauvignon and Gamay Noir. Gamay is a light-bodied red wine revevered for its floral aromas and earthiness, with tart red berry and lively acidity. Cabernet Sauvignon is a full-bodied red loaded with black fruits, cherry, black pepper and hints of earth. This balanced blend marries the best of both varietals into an energetic medium-bodied beauty. Ripe and round with vibrant acidity and silky-smooth tannins,expect pronounced cherry and juicy red berry flavors rounded out with notes of cassis, spice, subtle earthy undertones and soft vanilla. Pair with grilled red meats, pizza, black peppercorn tuna, black bean stews or roasted pepper dishes. This wine is a charismatic blend of Carménère, Cabernet Franc, Syrah, and Pais. Carménère, the signature Chilean grape, delivers jammy raspberry and herbal spice. Cab Franc brings bold cherry, juicy berry and acidity, while Syrah lends intense black fruit flavors and tannin. Pais, widely planted in Chile for centuries but little-known elsewhere, rounds out the blend with rustic red fruit and crisp acidity. This juicy blend is full of expressive black and red berries, surrounded by cherry and tart plum notes in harmony with underlying oak, bright acidity and smooth polished tannins. Pair with rosemary lamb chops, beef skewers, Portobello mushroom burgers and aged cheddar. Symphony is one of California’s hidden gems bringing peach, apple and tropical fruit flavors, it is a natural and perfect complement to Gewürztraminer’s characteristic lychee notes. An aromatic blend with floral and juicy peach aromas, this o‰-dry wine deliciously combines lush tropical and stone fruit fla vours. Crisp and bright with expressive fruit and subtle sweetness, this wine really sings when chilled. A beauty to sip on its own, or a perfect companion to spicy Asian dishes, zesty barbecue or baked ham.Symphony is one of California’s hidden gems bringing peach, apple and tropical fruit fla vours, it is a natural and perfect complement to Gewürztraminer’s characteristic lychee notes. An aromatic blend with floral and juicy peach aromas, this o‰-dry wine deliciously combines lush tropical and stone fruit fla vours. Crisp and bright with expressive fruit and subtle sweetness, this wine really sings when chilled. A beauty to sip on its own, or a perfect companion to spicy Asian dishes, zesty barbecue or baked ham. Contact us to reserve yours today - these wines are going quick! These Dessert Wines bring unique and distinctive wines that are perfect for all your holiday entertaining and gift giving. Cru Specialty has a wine to please every palate! These wines are available exclusively for the holiday season. Start yours today so they are ready for holiday gift-giving!